I`m a bit late in bringing my card for the easel card with flowers challenge. So sorry about that!! For today I picked Waitress Gilli from the Gilli 1st collection and colored her using copic markers #s: BV04, BV02, BV00, V01, V000, V0000, C9, C7, C5, C3. E1, E00 & R20. 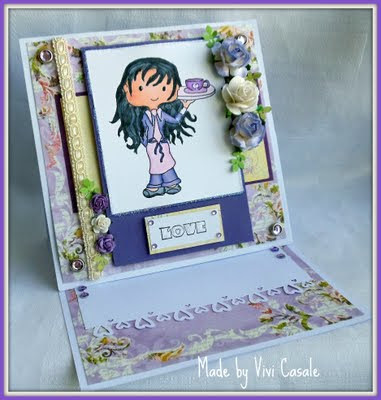 Sentiment Love is also from Gilli Stamps and I added star dust stickles on the sentiment and all around the rectangule! Background Papers and flowers are from Prima Flowers. Crystal Brads are from Stamping Scrapping. 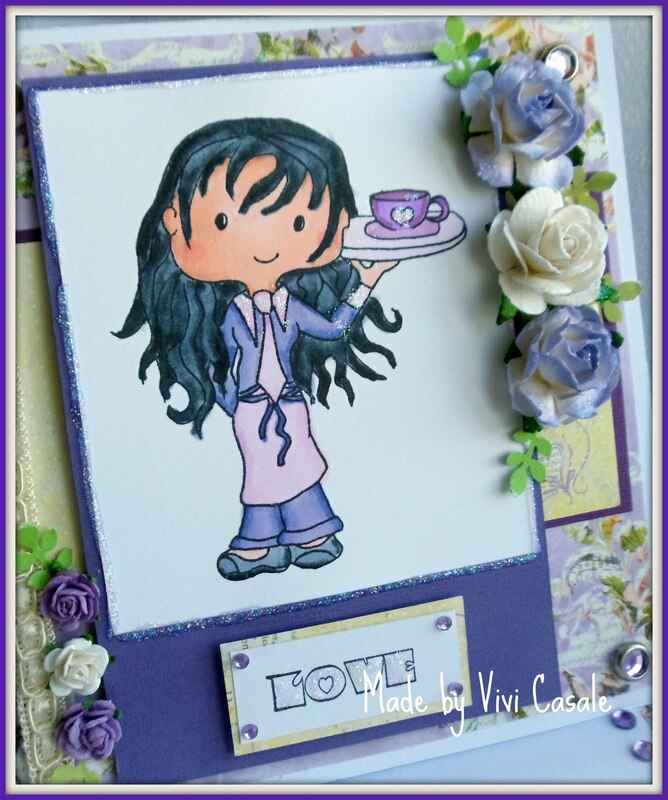 I hope you like my card and come on over to play with us! Vivi, this is beautiful. I love it. A harmonia das cores e elementos deixaram o cartão mais belo! Wonderful Vivi - I love the colors you used! Love the purple Vivi, and love all the glitter you've added!